Math Medals for all grade levels of the study of mathematics. 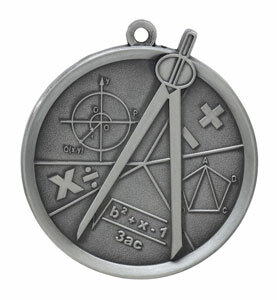 Perfect to acknowledge the effort and math study skills in your math class. 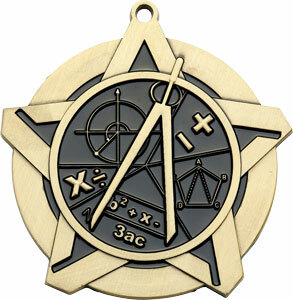 They also make great awards for math competitions to present to winners and participants. 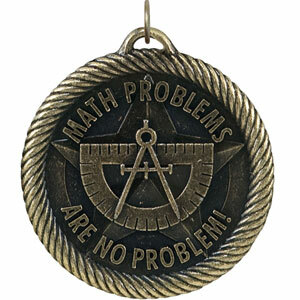 Math medals comes with neck ribbons, but you may also purchase presentation boxes. 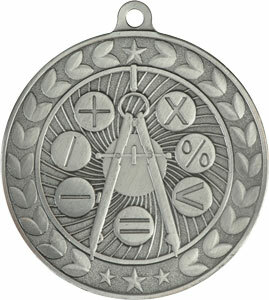 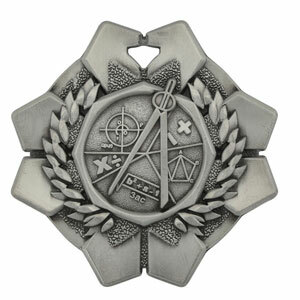 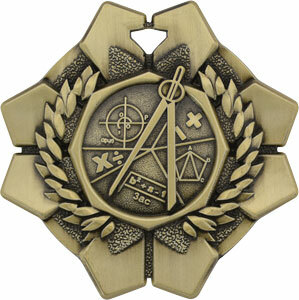 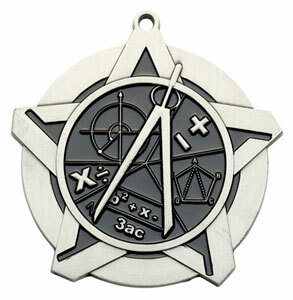 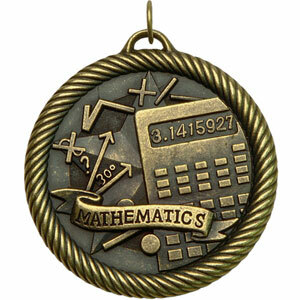 You have a wide selection of math medals to choose from; with various style and size options. 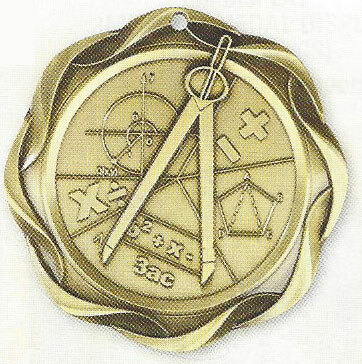 Most math medals can be engrave. 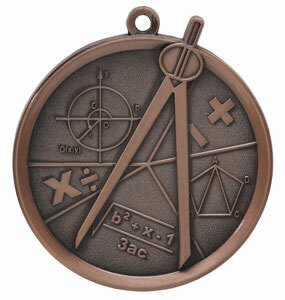 Click on a math medal below for more details and to make a purchase.